As a costume enthusiast I love to visit as many different costume collections and exhibitions as possible, especially as this primary research is so valuable to my work. I started a search for lesser known costume collections within the United Kingdom and Ireland, this post continues with a selection of collections in the North of England. I hope I can introduce you to some collections you didn't already know about. - Large costume collection from the Seventeenth to the Twentieth Century, mostly Nineteenth and Twentieth Century items. The museum holds the Blackborne Lace Collection and a collection of Seventeenth and Eighteenth Century vestments and textiles from St. Clares Abbey in Darlington. Textiles collection including quilts, tapestries and carpets locally made, as well as embroidery from Europe and the Far East from the Fifteenth to Nineteenth century. Paid entry. - Over 20,000 items of clothing and accessories from the Seventeenth Century to the present day, including a selection of locally produced shawls and clogs, as well as fashions from Manchester's South Asian communities. A photographic portrait collection with over 25,000 images from the 1840s to present day. New exhibitions each year, with the majority of the collection available to view online. Free entry. - This collection of lace, embroidery and textiles was amassed by Miss Rachel B. Kay-Shuttleworth, and is now housed at Gawthorpe Hall. Highlights of the collection include British embroideries, textiles and quilts associated with the Arts & Craft Movement; as well both British made items and Eastern European, Near, Middle and Far Eastern examples of costume, accessories and textiles. Paid entry. 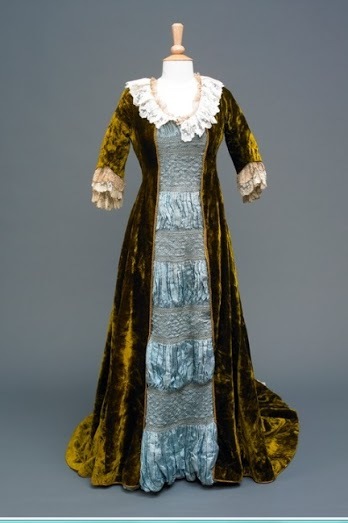 - Large collection of costume, costume dolls, and Nineteenth & Twentieth Century fashion plates, not on permanent display but study visits can be booked in advance to the stores at the Discovery Museum. Free entry. - This museum holds a significant collection of Eighteenth and Nineteenth Century costume, textiles, silk making machinery, and a Macclesfield silk manufacturers' pattern archive of nearly 1,000 volumes. These collections are not only locally made but include textiles from around the world. Study visits can be booked in advance, with 'behind the scenes' days, talks, and exhibitions held each year. Paid entry. 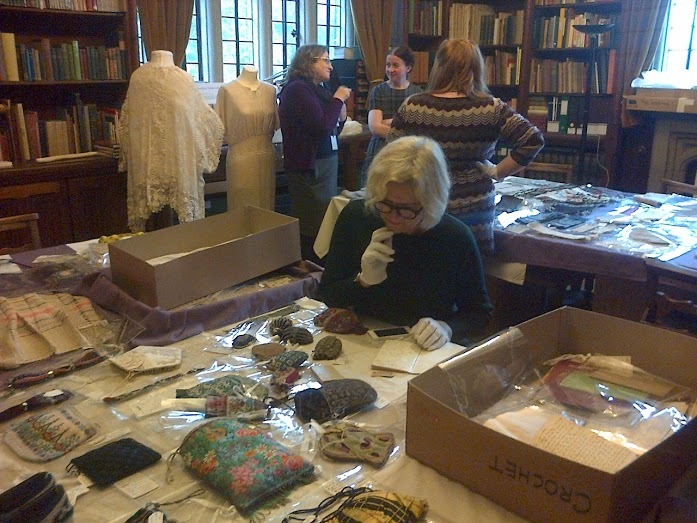 - A 450 piece collection of Nineteenth & Twentieth Century costume, accessories and textiles donated by Miss Kathleen Mitchell to Hull Museums. Many of the items are believed to have been made in or worn by people from the local Hull and Yorkshire area. This collection is currently not on display to the public, but a small selection of Nineteenth Century costume is on display at the William Wilberforce House museum. Enquiries can be made about study visits. Free entry. - Home to The Quilter's Guild of the British Isles and their extensive collection of historical and modern quilts. Not all of the collection is on display, but the exhibitions change every few months. Free entry. 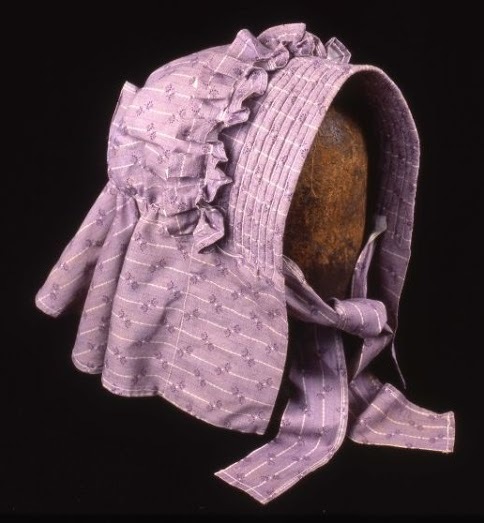 - Over 20,000 items in this collection from the Eighteenth Century to the present day, including extensive garments and accessories from the Twentieth Century. 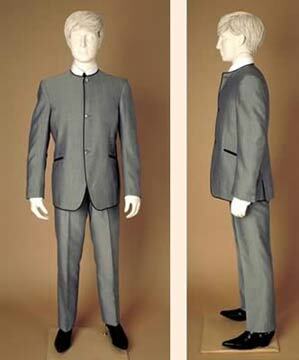 The collection also holds a suit worn during performances by John Lennon which is now on display at the Museum of Liverpool. The museum is currently unable to allow study visits to the collection, however the costume galleries are still open to the public. Free entry.